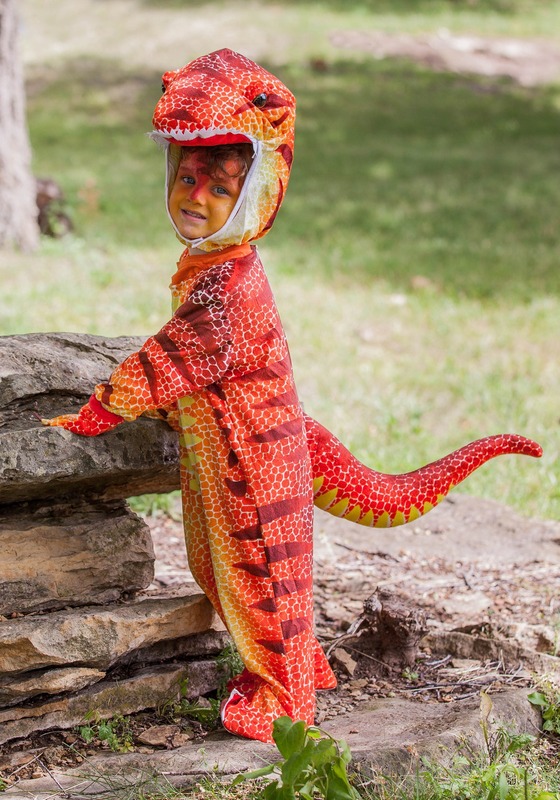 This little guy has a mighty reputation as a scary dinosaur! 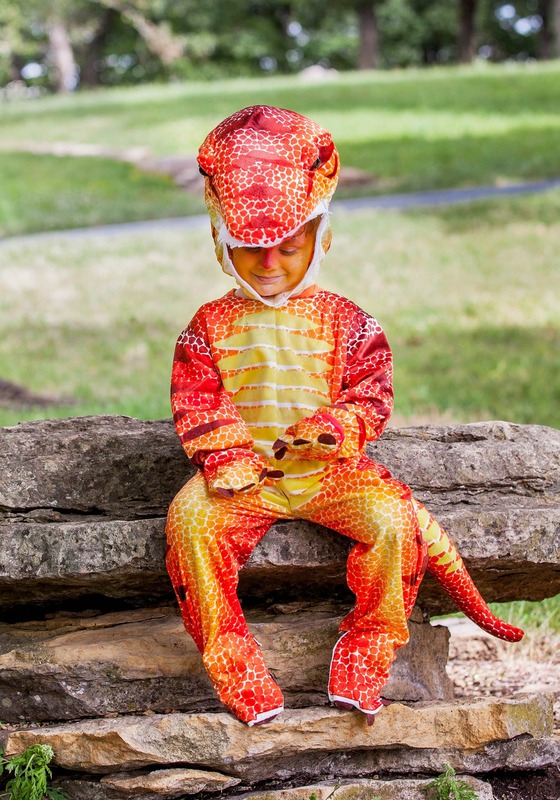 The toddler rust T-Rex costume includes an orange, red, and yellow polyester romper. 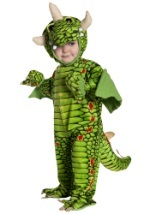 This soft, plush jumpsuit has a colorful scaly pattern for a realistic dinosaur look. 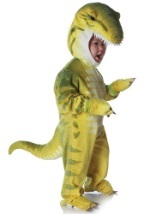 The chest has bright yellow stripes. 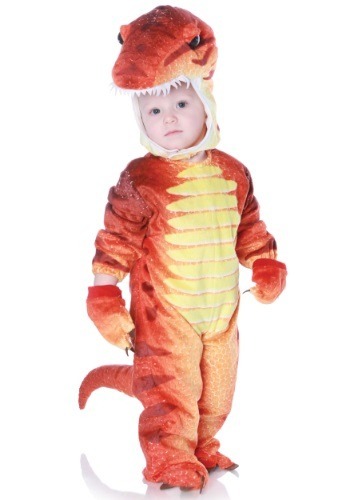 The sleeves and back have dark red stripes. 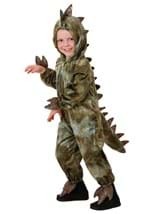 The jumpsuit velcros in back and includes an attached soft tail. 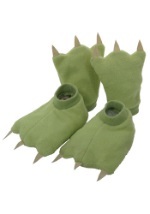 The ankles have brown claws and elastic bands underneath to stay in place. 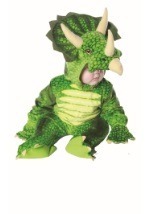 The two matching dinosaur mitts have little claws on the end and elastic in the wrist. 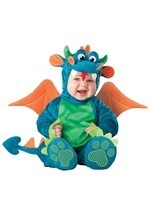 The large plush hood secures under his head with velcro. 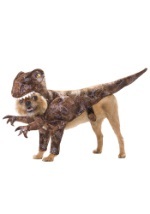 The hood has a fierce-looking T-Rex head with big eyes and white teeth. 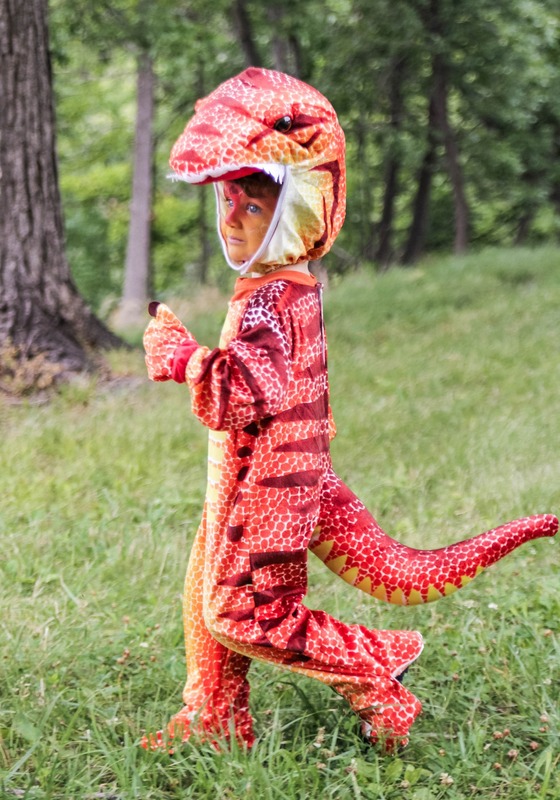 This fuzzy dinosaur costume will keep you child warm on Halloween.